It’s been a busy week for HR departments across the nation. Microsoft fired, Porsche hired and Kickstarter claimed credit for 300,000 new jobs. On the other hand, Qualcomm’s about to pay big for its discriminatory promoting practices and Tor took a very large step back from former developer Jacob Applebaum amid a growing chorus of sexual harassment claims. In part 1 we took a close look at the amazing SFX-100 Nintendo PlayStation console for a teardown of the hardware and an analysis of how the chips function together. After looking inside, Ben discovered a few post-production bodge jobs that were seemingly intended to fix the prototype — but do they, really? Join Ben again as we look inside this rare hardware to see if we can whip it into a functioning state and get the CD-Rom tray finally working. Finally, what better way to test out a console than a beat-em-up showdown? Join Felix and Ben as they duke it out on Super Streetfighter 2. 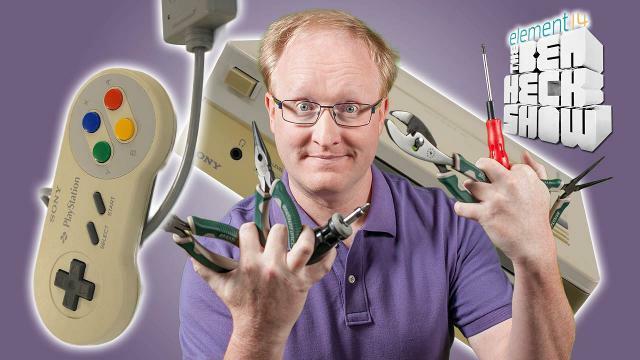 Let us know what you think of the Sony Nintendo PlayStation over at the element14 Community, where you can also interact with The Ben Heck Show team and watch past episodes. The Good Samsung’s $1,499 WF50K7500AV AddWash washing machine performs well, looks good, is easy to use, and has a massive 5-cubic-foot capacity. The Bad Its hatch-like door doesn’t make it any easier to do laundry and the related Samsung Smart Home Android and iPhone app is very glitchy. The Bottom Line You’ll love the AddWash’s impressive performance, large capacity, and luxury black stainless finish — just pretend that extraneous hatch door isn’t there. The $1,499 Samsung WF50K7500AV AddWash washing machine is a true luxury appliance. With 14 cleaning cycles, a massive 5-cubic-foot capacity, a black stainless finish, and a streamlined display panel, this high-end washer is a pleasure to use. It happens to do a great job removing stains, too. But that’s not quite where the AddWash’s story ends. Samsung also tried out a couple of additional features with this appliance that didn’t fare as well — a second, smaller door that you’re supposed to use to add forgotten items mid-cycle and a related Samsung Smart Home app for Android and iPhone. Since you have to pause the washer for the second door to unlock, you might as well just open the main door to add that errant sock or towel. And the app was so glitchy I never made it past the configuration phase. Even so, Samsung’s AddWash still exceeds expectations and is well worth your consideration if you’re in search of a stylish and functional premium front-load washer. Black stainless is a relatively new finish for Samsung, one that instantly transforms an appliance from the consistently ‘meh’ look of traditional white washers to something decidedly more high-end. It also features a 5-cubic-foot tub, the largest of any front-load washing machine we’ve reviewed so far. A decent laundry app should let you check on the status of your washer remotely, as well as start and stop cycles. I’d also like to receive push alerts when a cycle ends. 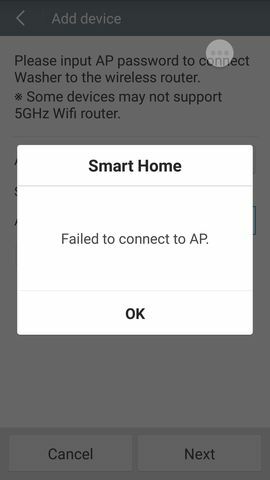 Not only could I not figure out if these features were available on the Smart Home app, I couldn’t even get past the initial configuration steps to view the app. 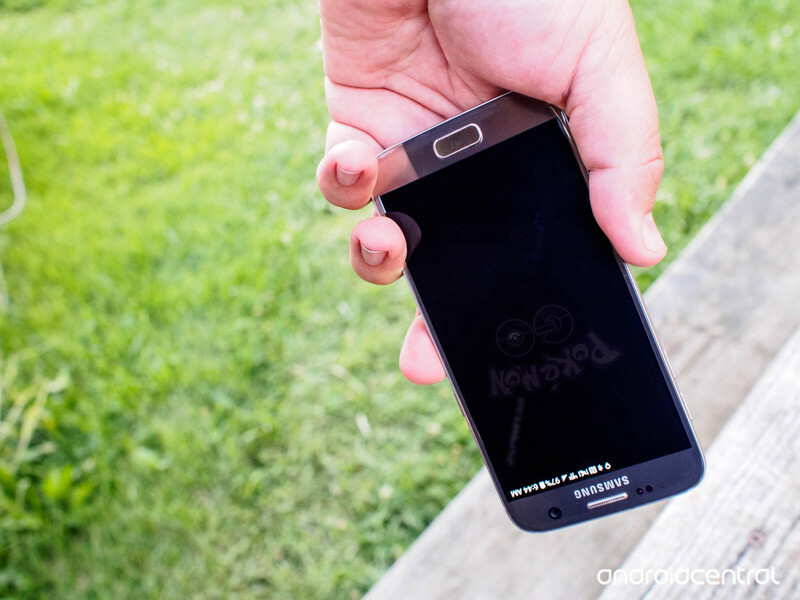 I tried a number of times on both a Samsung Galaxy S5 and an iPhone 6 Plus to no avail. The screenshot to the right pretty much sums up my experience. There’s also the issue of the AddWash’s second door, something I really looked forward to trying out in our appliance lab. My initial belief was that I’d be able to open that trap door any time I wanted during a cleaning cycle to chuck in socks, hand towels and other small items (you’d really have to get creative to fit jeans or something similarly large through the AddWash compartment). And that is true…kind of. The trick is that you have to hit pause on the washer to unlock the door. Tesla’s Gigafactory is set to double the world’s battery production, and this week it opened its doors for the first time. Tesla is also working on an electric truck, but Mercedes-Benz beat them to punch this week by launching the world’s first all-electric big rig. In other transportation news, a sun-powered airplane completed an epic trip around the world — and we highlighted eight milestones from its record-shattering flight. Nissan announced that it will give golden Leaf EVs to medal-winning Olympic athletes. And Norway unveiled plans to build the world’s first floating underwater traffic tunnels, which will be suspended from pontoons. Today’s batteries take a long time to charge – but that’s set to change. Researchers just developed a new graphene super battery that charges up in seconds and lasts virtually forever. Meanwhile, Ukraine announced a proposal to transform the Chernobyl nuclear wasteland into a gigantic solar farm that would produce four gigawatts of energy. In other solar news, scientists found a way to create energy-generating photographs using a printer and photovoltaic ink. And a new sun-powered machine transforms human urine into beer. Most homes takes months or years to build, but a new bricklaying robot is able to create an entire house in just two days. In other design news, we showcased an “ice battery” that provides 24/7 cooling while using 40 percent less energy than traditional air conditioners. Elon Musk is contributing to the home of the future by developing helpful robots that may do your chores one day. Dutch designers found a way to turn cow manure into clothing (it’s not as gross as it sounds). And a newly proposed “Women of NASA” LEGO set pays homage to five female space exploration pioneers. Translogic host Jonathon Buckley has done a lot of crazy things on the series, but being a “monkey” in a sidecar race might just be the craziest. In this episode, we travel to Millville, NJ, to learn more about the Sidecar Racing Association and participate in a few laps as a passenger — or monkey as they’re known in the racing world. It doesn’t take long for Bucko to realize just how physically exhausting it is to participate in this unique motorsport. This initiative is a collaboration between the space agency, the UK Astronomy Technology Centre, the University of Edinburgh and researchers from John Hopkins University and the European Southern Observatory. Once the team is done putting the interstellar message in a bottle together — the deadline for submissions is September 16th — the ESA’s Cebreros deep space antenna in Madrid will beam it to the star 434 light-years away. AMD said that the Radeon RX 480 would be followed up by lower-cost models this summer, and it’s acting on that promise in a timely fashion. Both the RX 470 and RX 460 (not pictured above) are now slated to arrive on August 4th and August 8th respectively. While AMD hasn’t outlined the specific pricing, these newer boards should cost significantly less than the $199 RX 480 — the RX 460 should sit closer to the coveted $100 mark. The imminent launch is also shedding some light on details of the cards themselves. The RX 470 may not be VR-friendly like its more advanced sibling, but it’s surprisingly close. You can expect up to 4.9 teraflops of computing power (versus 5.8 for the RX 480), and you’re still getting 4GB of RAM on a healthy 256-bit memory interface. Think of it as the “good enough” card — you can play many new games at 60 frames per second, just at 1080p instead of 1440p. The RX 460, meanwhile, is really a budget counterpart to last year’s Radeon R9 Nano. It’s much less powerful than the other RX cards (just 2.2 teraflops) and starts with 2GB of RAM on a 128-bit interface, but it’s also far smaller and more power-efficient — it uses less than 75W. The desktop card is ostensibly aimed at eSports gamers who only need brisk frame rates in titles like Overwatch or Rocket League, but it’s also built for small form factor desktops and even laptops. Both cards help fill out an AMD strategy that’s very different than in past years. Rather than take NVIDIA head-on in the graphics arena, it’s trying to carve out a niche by offering a lot of bang for the buck. This is partly dictated by its own limitations (NVIDIA has generally led the high end for a while), but it could pay off if it gives AMD a relatively uncontested audience. Mind you, NVIDIA’s newer graphics technology is becoming increasingly affordable — it’s entirely possible that the green team will encroach on AMD’s turf. The newest story set in J.K. Rowling’s Harry Potter universe, called Harry Potter and the Cursed Child, has launched worldwide on Apple’s iBooks platform. Referred to as “the eighth story,” Harry Potter and the Cursed Child is a script of the play of the same name, which has been in previews at the Palace Theatre in London over the last few weeks, and made its official world premiere tonight. The play is based on an original story from Rowling, along with collaboration from director John Tiffany and writer Jack Thorne, and picks up the story of Harry, Ron, and Hermione nineteen years after the events of Harry Potter and the Deathly Hallows, in line with that novel’s epilogue. The plot is said to not only be focused on the three heroes, but their various offspring and their own time at Hogwarts. Told in two parts with an intermission in between, the script released today contains both halves of the story and is referred to as “The Special Rehearsal Edition.” Scholastic — Rowling’s longtime publisher in the U.S. and Canada — plans to release a “Definitive Edition” of the story in early 2017, which will contain fine-tuned tweaks made through Cursed Child’s preview run, including the play’s “perfected, definitive” script and final stage directions. Harry Potter and the Cursed Child will be available in all markets supported by iBooks beginning on July 31, coinciding with the birthday of Harry Potter himself. Within the United States and United Kingdom, users will be able to choose from iBooks [Direct Link], Amazon Kindle, Barnes & Noble Nook, Google, Kobo, and WHSmith (exclusively in the U.K.) as e-book options. The e-book is priced at $14.99, while the retail version of the book will cost fans $17.99, and will be available at most brick-and-mortar booksellers. In a series of tweets sent out this afternoon, musician Kanye West claimed that the schism between Apple Music and rival streaming music service Tidal is negatively affecting the music industry as a whole. West is one of the artists closely aligned with Tidal, who’s also one of its co-owners, along with the likes of Jay Z, Beyoncé, Rihanna, Nicki Minaj, Jack White, and others. In three subsequent tweets, West suggested that Apple CEO Tim Cook and Jay Z, along with a few other executives at Tidal and Apple, get “on the phone or in a room” within the coming week to discuss a partnership between the two services. It’s unclear if West’s language is corroborating that talks between Apple and Tidal have in fact been ongoing over the last few weeks, or if he’s simply suggesting the idea based off of those reports from earlier in the summer. You can’t catch ’em all, if your battery dies. So you’re all-in on Pokémon Go — hunting through your neighborhood for PokéStops, Gyms, and of course, Pokémon. After a couple of hours, you realize that this game is an absolute battery drainer. But don’t worry, it’s not just you — this game uses mobile data, GPS, your screen and your camera, and that means sucking down a lot of battery every minute you’re playing. Pokémon Go is a high battery use application, which in more general terms, means that it can eat through your battery faster than you would think. So we’ve spent some time finding the best ways to save, and extend your battery life to get you the most time out there hunting Pokémon. While this seems like a no-brainer, the first thing that you can do to help with the battery drain is take a look at your screen brightness. By turning it down you can grab yourself up some more time for gameplay. The big problem with this is if you are playing outside in a super sunny area. Turning the brightness down can make it much harder to see your screen, of course — but depending on the weather, if it’s not too bright out it may be a worth-while trade-off to make. This game has a special Battery Saver baked right in! It’s designed to dim your screen and slow the refresh rate while you’re walking, and it works really well as long as you remember to use it. When this mode is enabled, all you have to do is point the top of your phone towards the ground, like you would do when holding the phone down at your side while walking. By doing this instead of just turning your phone screen off while walking between ‘Stops and Gyms, you will still get vibration notifications when a Pokémon pops up on screen for you to catch. Want to know what drains your battery faster than having the screen on the whole time? Using your camera the whole time. Within Pokémon Go you have a choice between turning your camera on or off. If it is on, then when it’s time to capture a Pokémon your camera will open up. 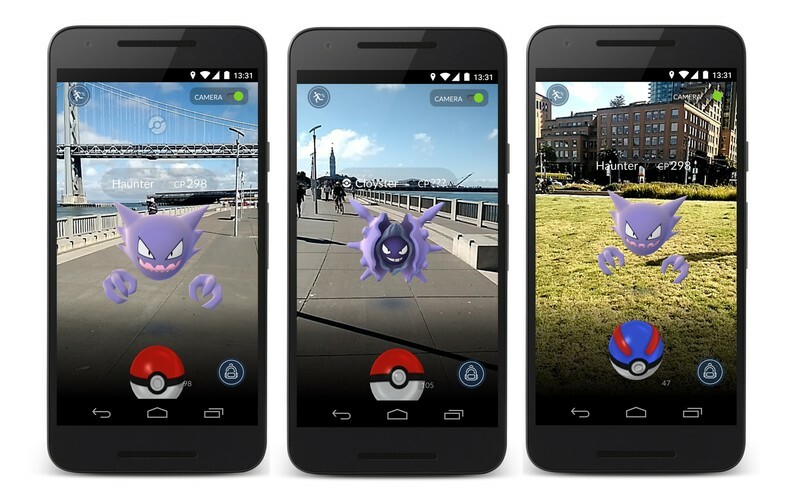 You’ll see your intended Pokémon in front of you in AR while your actual surroundings are just behind it. While this is awesome, and leads to some fantastic photos, you’re bleeding battery in this mode, especially during a Gym battle. However, if you turn the camera off you can ensure that your battery will last at least a bit longer. All you need to do in order to disable this feature is flip the little “AR” switch the next time you go to catch a Pokemon. You’ll see a new background and your battery will thank you. 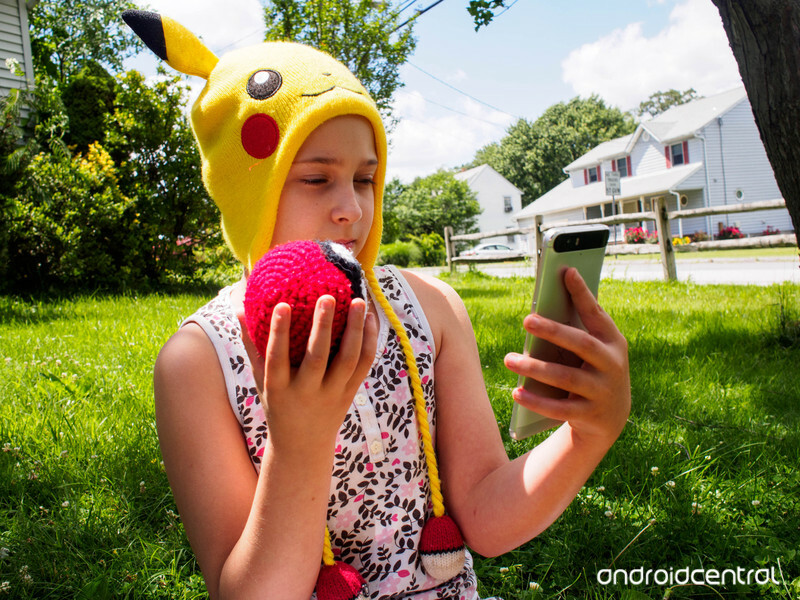 If you’re really gung ho about going out and hunting down Pokémon for hours, then investing in a portable battery pack might be your best bet. You can find these just about everywhere, and they can make sure that your phone doesn’t die just as you are about to capture the Pokémon you’ve been hunting for hours. 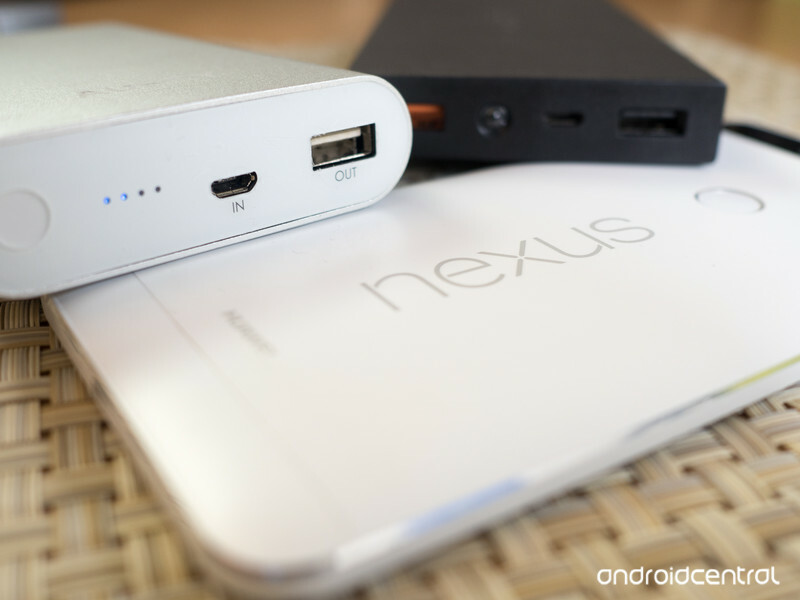 All battery packs are not made equal, so be sure to do your homework before purchasing one. This may be the easiest way to ensure that you can get hours of fun out of the app before being forced to head back to home and recharge your phone. For now, there isn’t a single easy way to adjust the amount of battery that Pokémon Go is consuming. Hopefully in time, we’ll see a battery saved added to the app for itself. In the meantime you can use these tricks to help ensure that you can play for as long as possible. 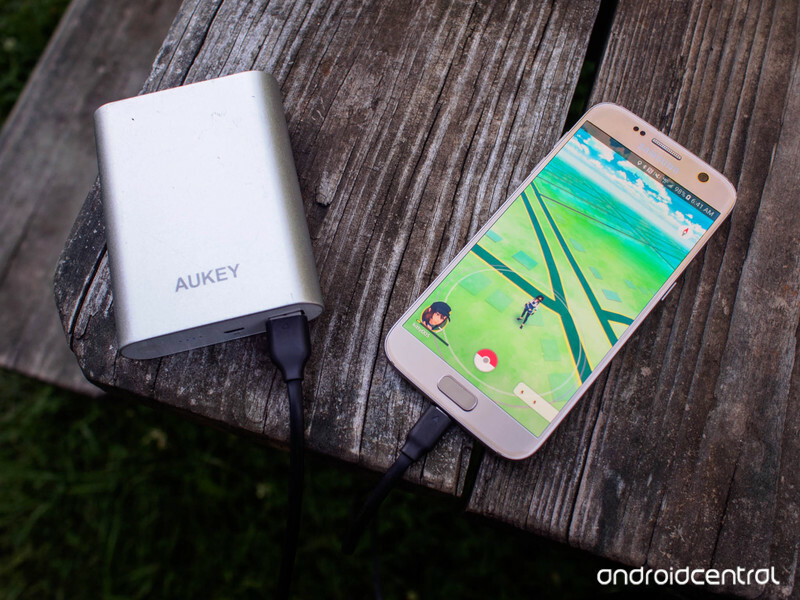 Have you had issues with your battery while playing Pokémon Go? Do you have a battery saving trick that we missed and should know about? Tell us about it in the comments below! Which team should you choose? The Ultimate Pokémon Go Game Guide! Listen to the Pokémon Go podcast!